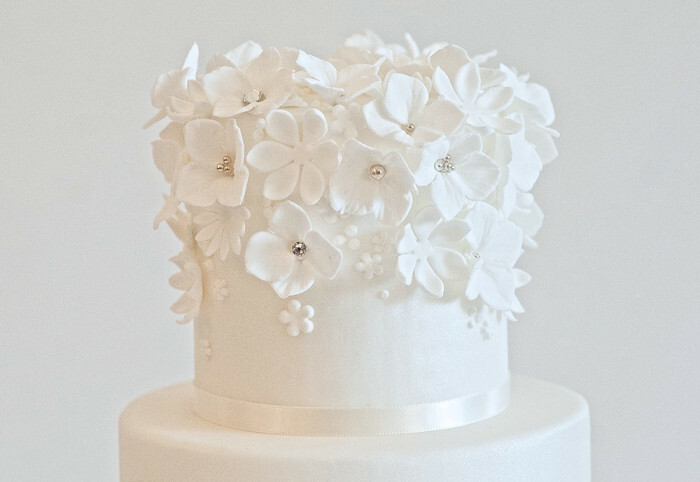 Delicate, white, sugar blossoms adorned with Swarovski crystals and silver dragees are all this cake needs to bring you timeless-elegance. 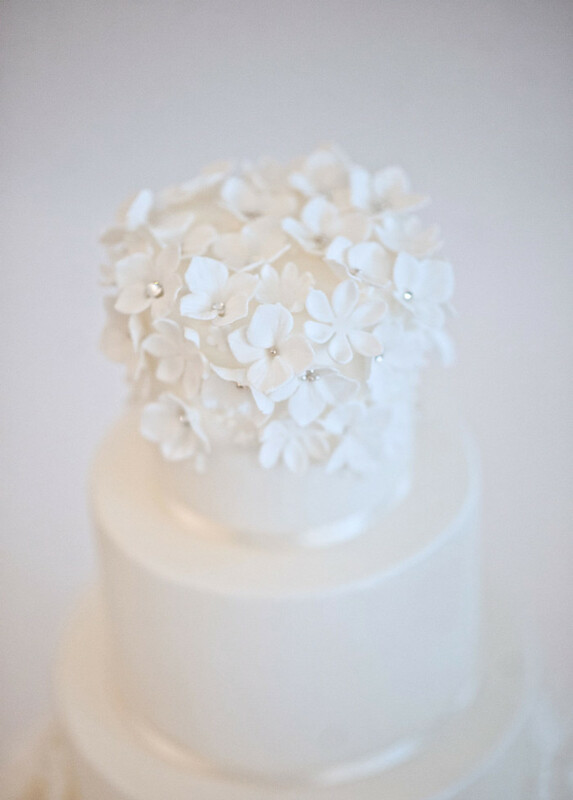 The flowers are on a slightly lustered backdrop and finished with an antique white, satin ribbon. 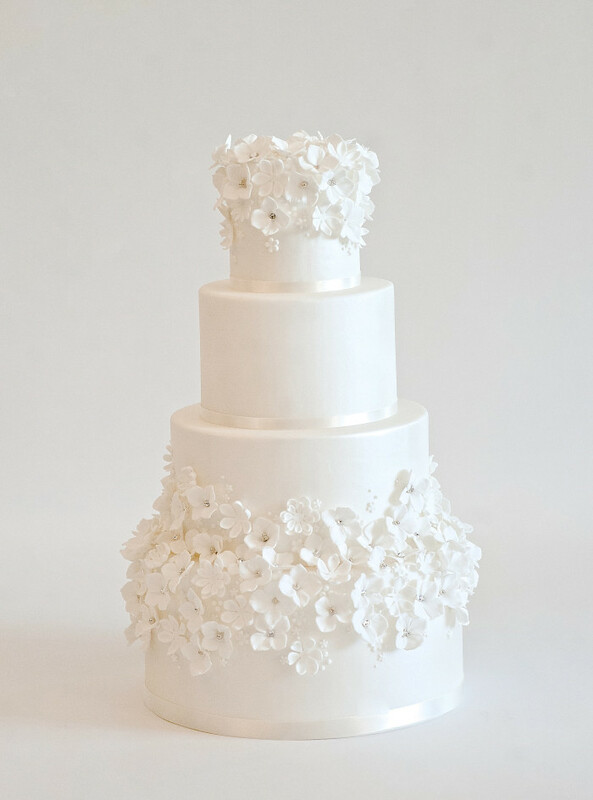 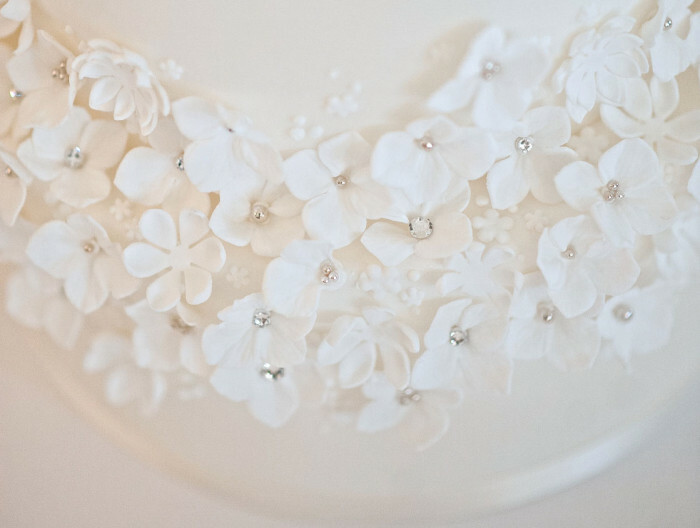 Emma is designed for the classic and sweet Bride.